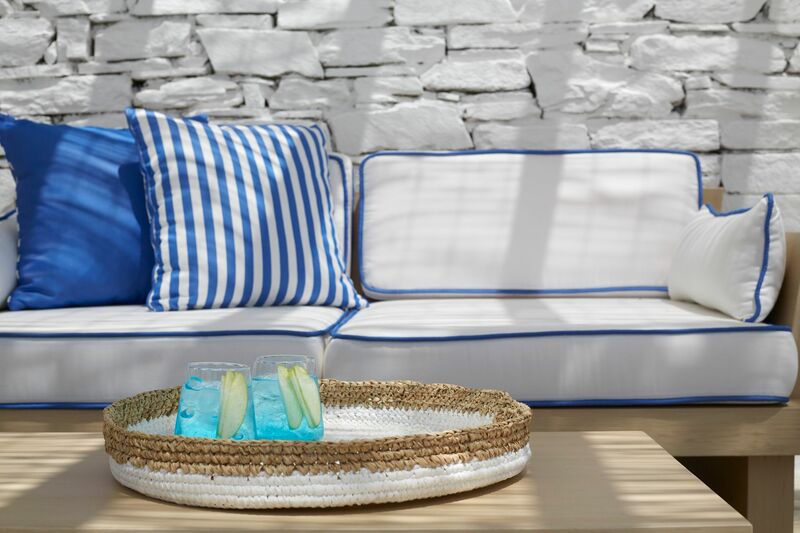 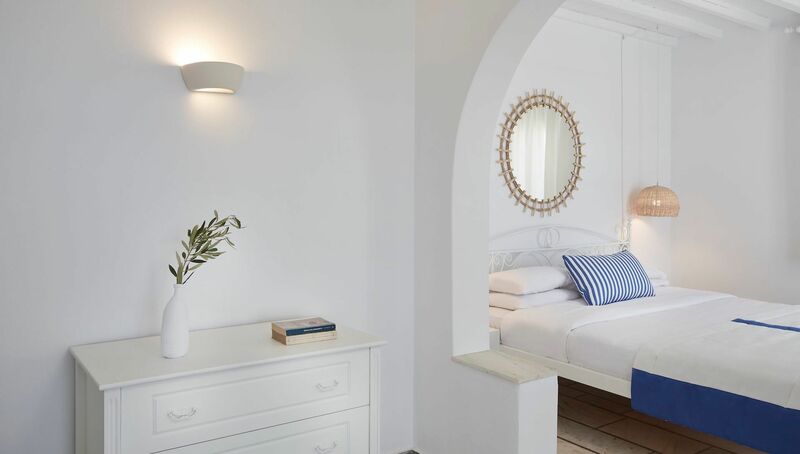 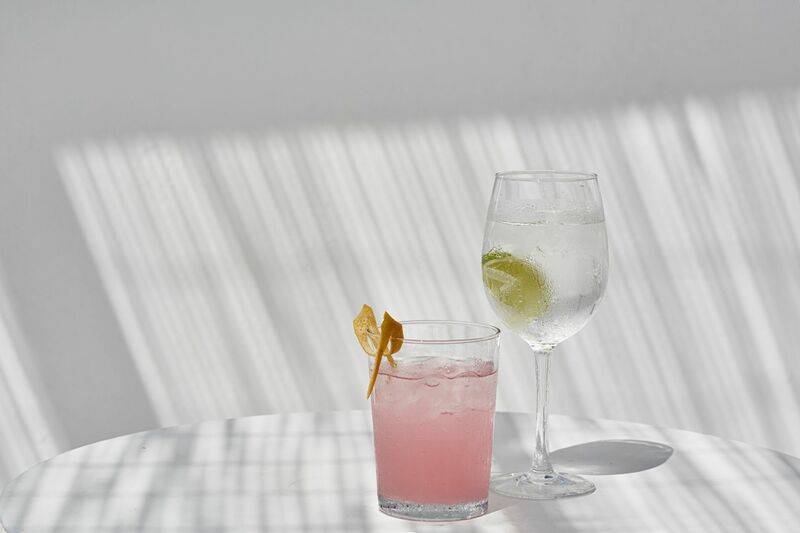 Mr.& Mrs. White Tinos, is a Boutique Resort that combines simplicity and luxury. 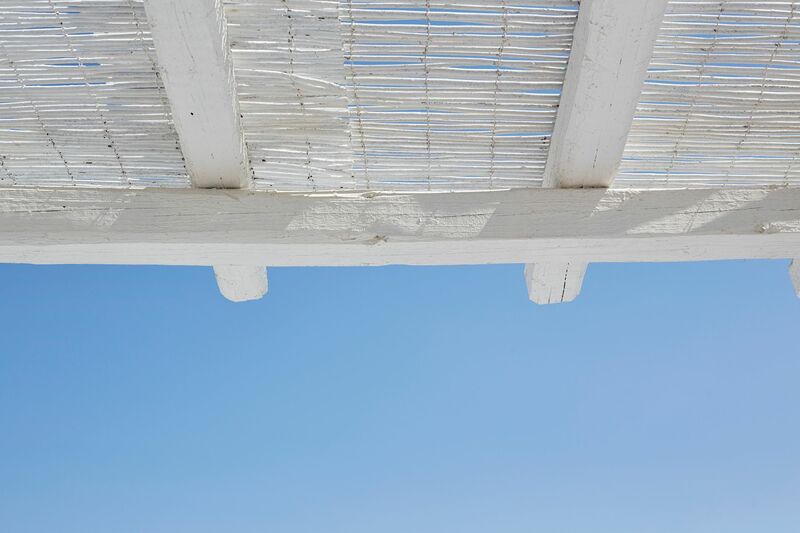 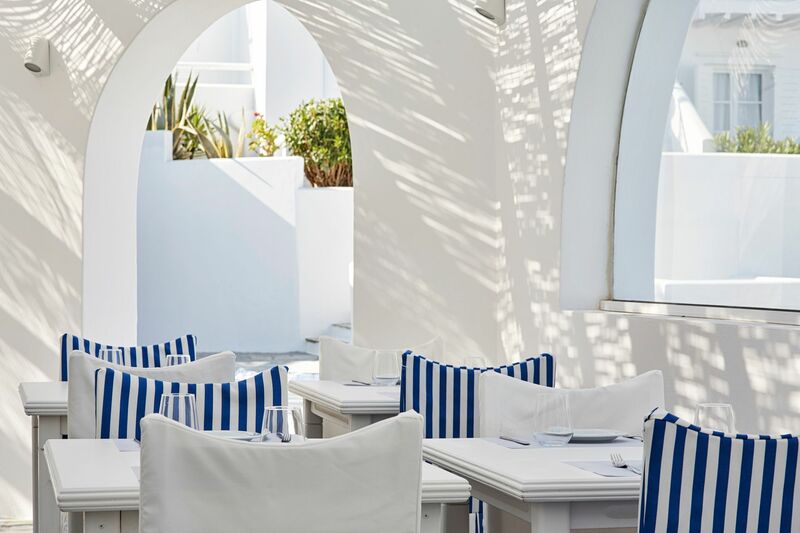 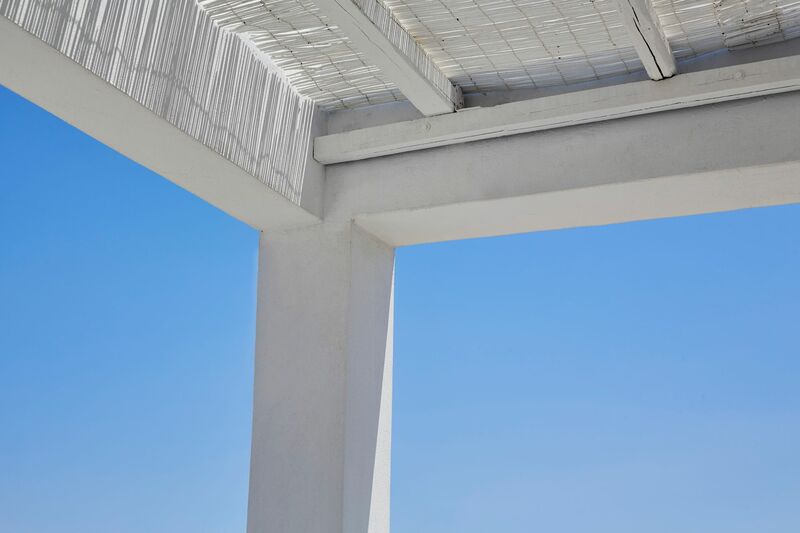 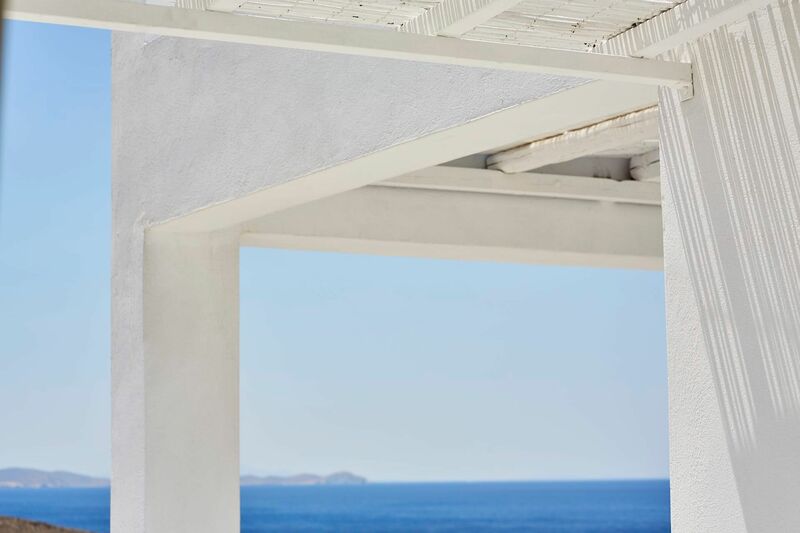 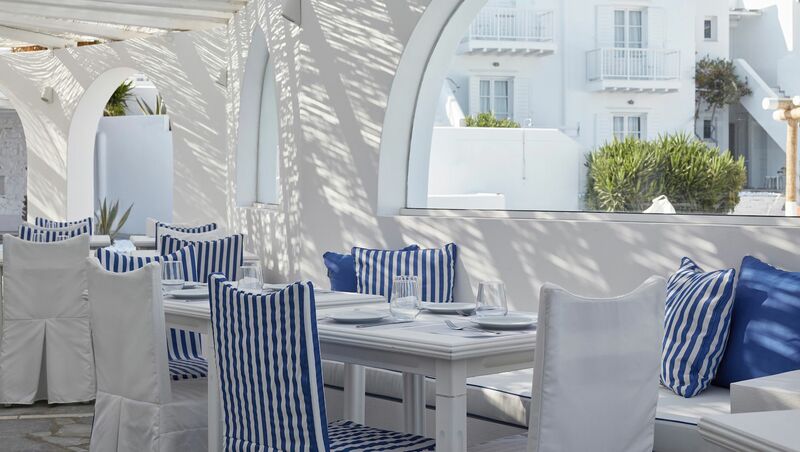 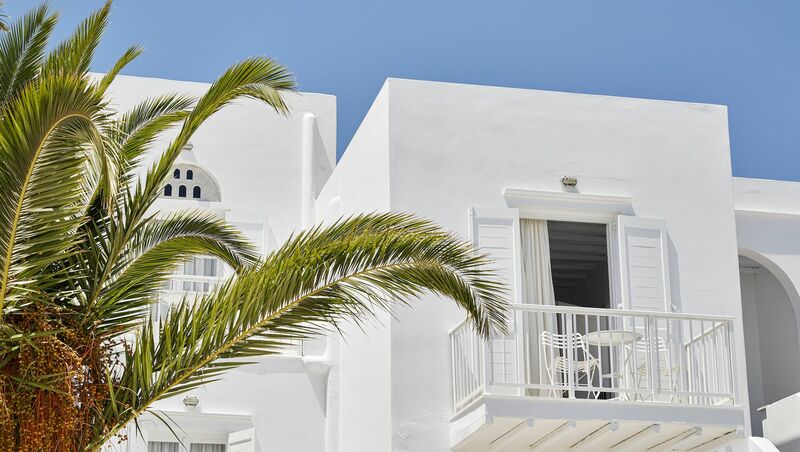 boasts modern aesthetics combined with traditional Cycladic architectural elements, seamlessly blending in the natural environment, while the high-quality services, qualified personnel and exceptional amenities provide a comfortable and pleasant stay. 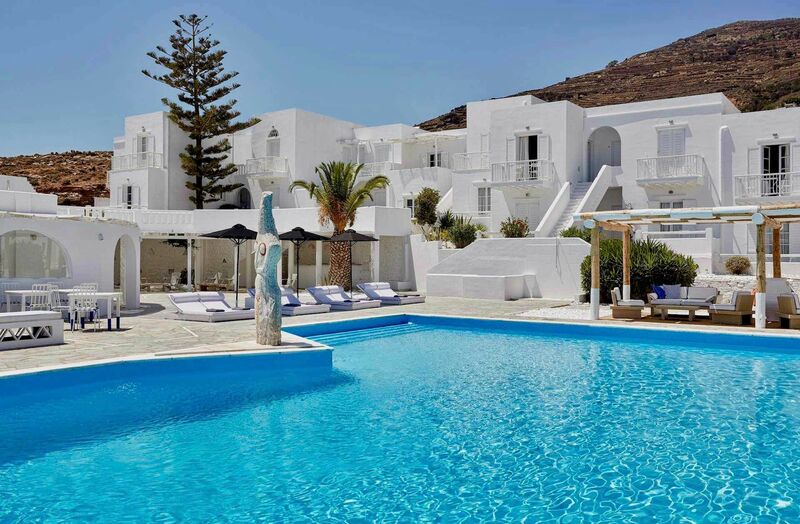 Agios Ioannis Porto is founded in the south east of Tinos island with an astonishing view at the Aegean Blue Sea. 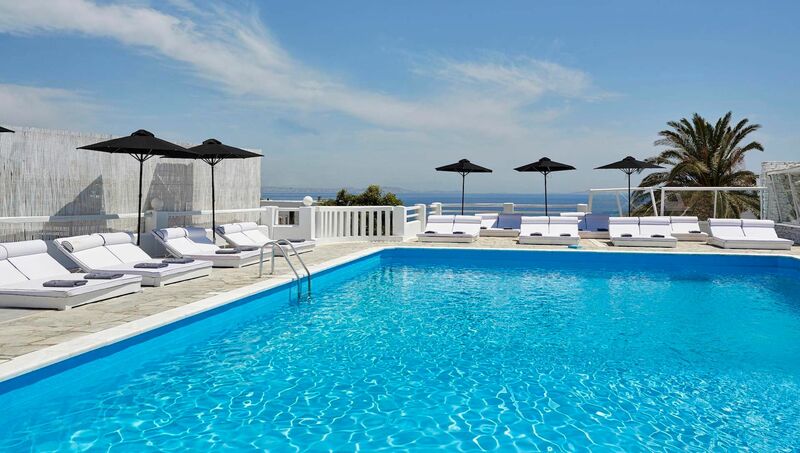 At the specific place you will find wonderful beaches suitable for swimming and sunbathing. 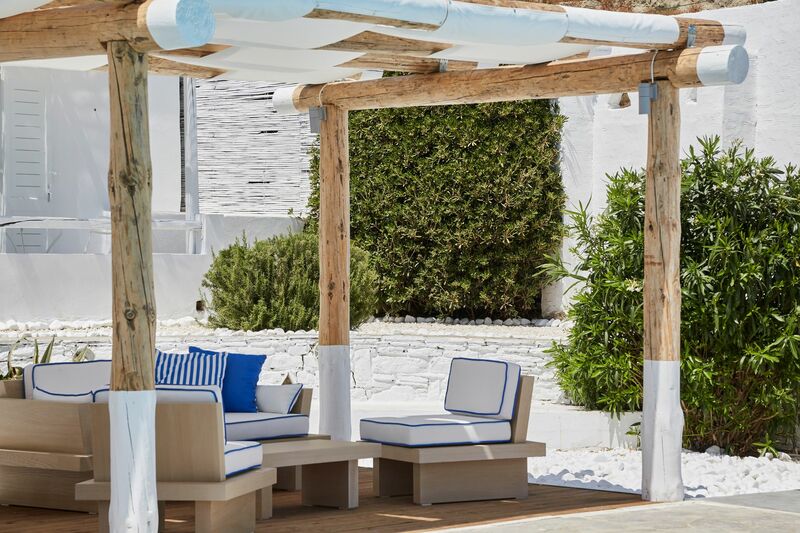 Tinos island is one of the most famous and traditional holidays islands in Greece. 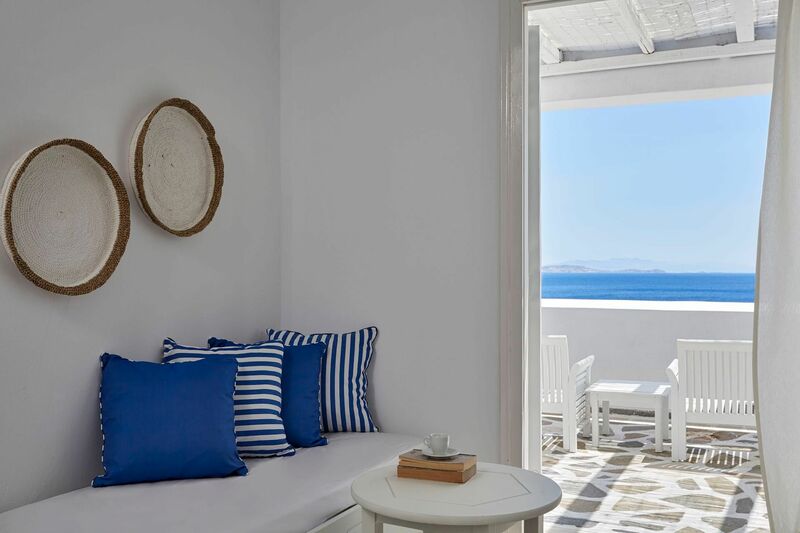 Tinos offers a unique combination of attributes line nowhere else can be found such as, traditional villages, a splendid sunset, a marvelous building architecture and fantastic beach coasts. 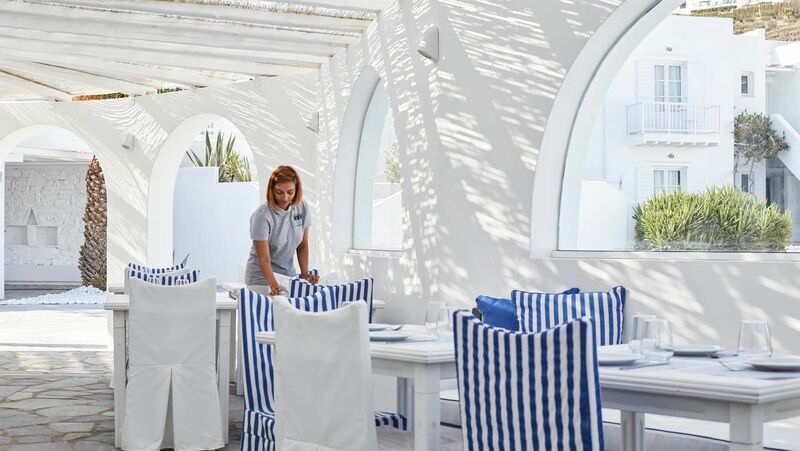 Thousand of tourist visit Tinos every year to enjoy those unique attributes. 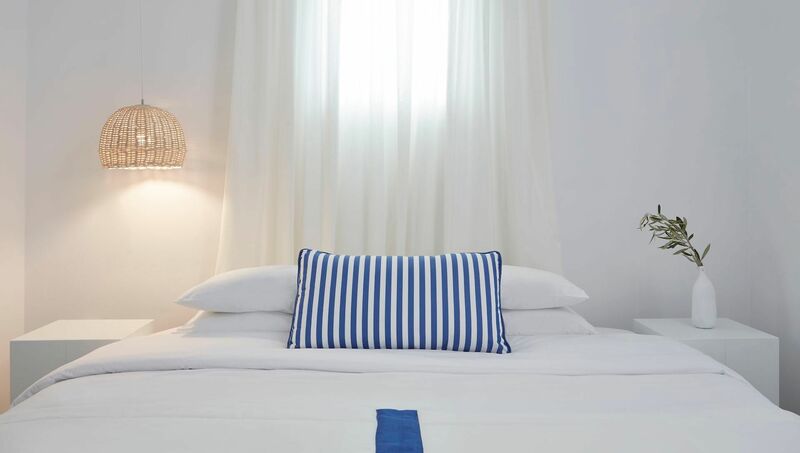 Our property operates from May 24 to Sep 30.